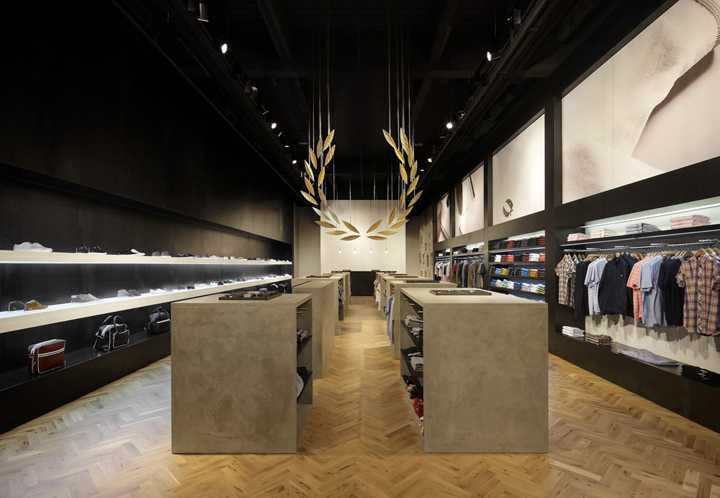 BuckleyGrayYeoman has completed the design of Fred Perry’s new store in the Westfield Stratford City shopping centre, London, creating a retail space that merges contemporary design with the fashion brand’s rich 60-year heritage. The centrepiece of the design is an anamorphic artwork of Fred Perry’s famous laurel wreath. Made in Hackney, close to the architects’ studio, the sculpture consists of 32 suspended brass leaves that run the length of the retail space. When viewed from the front of the store, the leaves align to create a complete image of the laurel wreath, but as customers move around the artwork it transforms into layers, creating different shapes and patterns. This experiential element of the design runs throughout the project, which features several elements that play with the idea of viewpoint and scale. 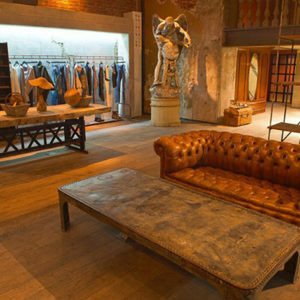 As customers explore the store, the details of the design subtly reveal themselves. A seemingly plain white wall framing the golden laurel wreath artwork at the back of the store is a mosaic of white Fred Perry pin badges. 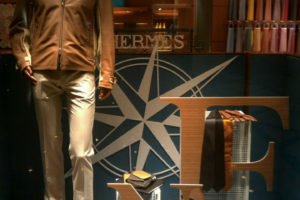 Running along the right-hand side wall of the store are graphic panels depicting blown-up photography of a classic white Fred Perry polo shirt. Footwear and accessories are displayed on surface of light boxes, creating lines that replicate the proportions of the contrasting “tipping” around the collar and sleeves that is the signature detail of the Fred Perry Shirt. 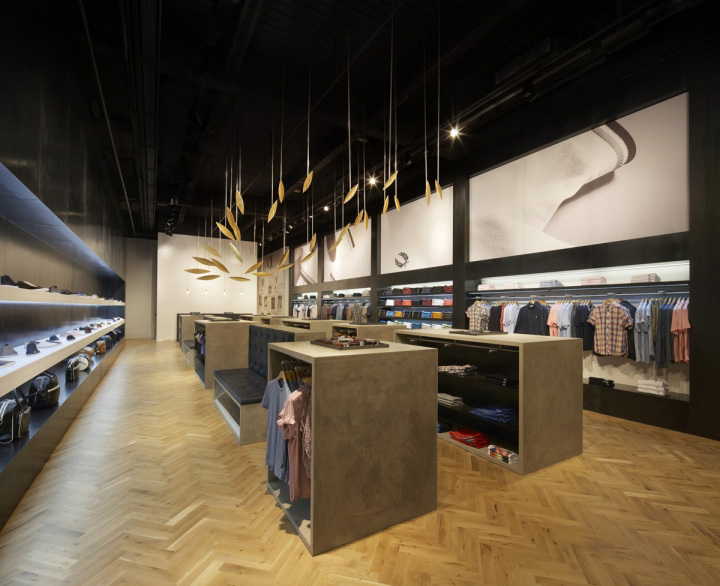 The store has been designed with a calm, open approach to layout and a restrained material palette of concrete, black steel and wooden parquet flooring. A walkway running through the centre marks a division between the apparel and footwear & accessories areas. Products are displayed on eight concrete tablets, positioned in a linear arrangement that forms a 12 meter-long spine through the store that also creates seating for customers. In the changing rooms, photography depicting sports legend Fred Perry sits alongside images of the fashion brand’s strong connection with the youth style-tribes of the last 60 years and its resonance with contemporary subcultures. The storefront’s simple design is made from black steel. 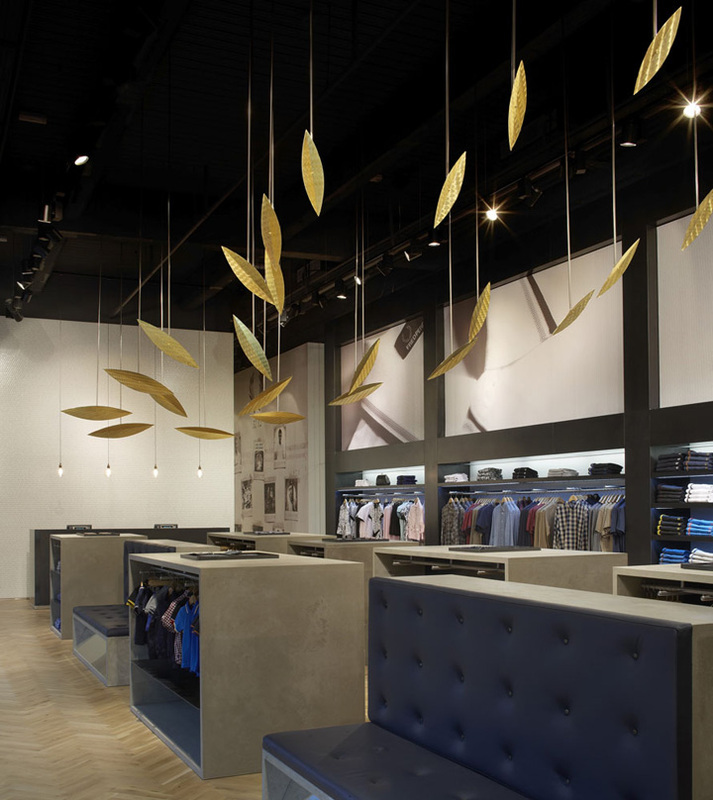 The Westfield Stratford City Store is the third project BuckleyGrayYeoman has completed for Fred Perry. 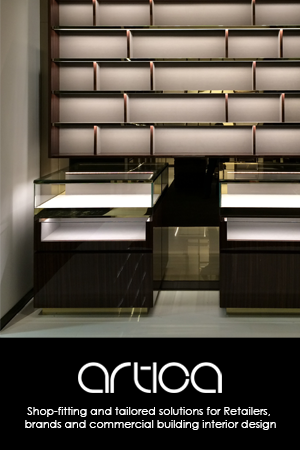 A new store in Munich, also designed by the practice, is due to be launched in August.